The Emily Catherine Fedorko Foundation | Turn it Off 4 Emily | Board Member: Beth Allen Moore, M.D. Board Member: Beth Allen Moore, M.D. Beth Moore lives in Old Greenwich, CT with her husband of 24 years and their two children. She and her family love the outdoors and they enjoy all that their community has to offer from Greenwich Point to the Mianus River Park, including paddle-boarding, running, and hiking–both with and without their two dogs. Professionally, Dr. Moore is a board certified physician who practices in Rye, New York. She earned her medical degree at The Albert Einstein College of Medicine and trained in Internal Medicine at Weill-Cornell Medical Center in New York City. She has had private practices in lower Manhattan and in Greenwich, CT. Currently she works in the department of Radiation Oncology at WestMed in New York, where she has been for the last ten years. Her career is both demanding and rewarding, with much focus on assisting patients undergoing active cancer treatment, as well as the needs their families. She is also working on patient accrual for on-going research studies and is a coach for physicians on effectively communicating with patients diagnosed with serious illnesses. 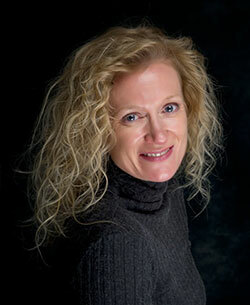 Beth has served as board member of the Greenwich Physicians’ Association and of the Greenwich Scholarship Association. She served as co-chair of the GHS committee of the Greenwich Scholarship Association. She volunteers in the Greenwich Public Schools, frequently as seamstress and costume-maker. She enjoys playing and singing music and she can often be found knitting.